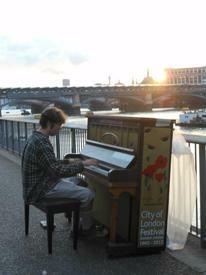 Playing my favorite song while watching the sunset over the river was one of the most magical experiences of my life. This guy just turned up, started playing the piano, cracked a few jokes and then moved on. MAde for an eventful, and entertaining evening! 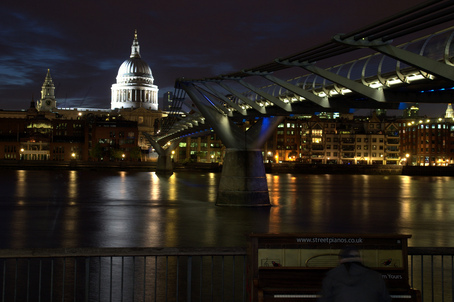 On Saturday we went to London for the day, and whilst there decided to tickle the ivories by the side of the Thames, and treat the capital to a song - 'The Butler' - from our upcoming murder mystery concept album 'The Curious Case Of The Dolls House Girl'. Third movement of Pathetique Sonata by Beethoven.